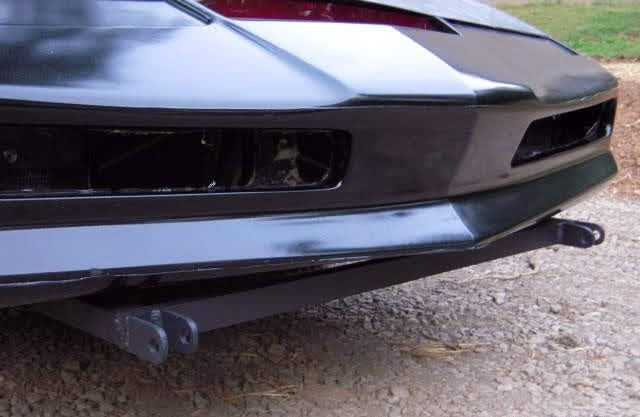 The tow bar was used in the series to pull KITT while they were filming, but was often left on the car so it can be seen in almost every scene. I wanted the tow bar for authenticity, but also because I have heard stories about how the tow bar has literally saved the front bumper from damage due to steep approaches or bottoming out. I have been using any free time that I have had to work on finishing up some items on KARR. Since KARR is my daily driver, and as Sara likes to call it "my other project car", there are just some things that have been driving me nuts and I decided that I do not want to put them off any longer. I will shoot a video of everything I have done when I am finished with him. Thanks for your patience and thank you for following the Project. Your support and interest is very much appreciated.